How To Use Sentence Structure Checker Tools With Combine Method? A lot of content is being written every single day. Continuously the Bloggers & the freelance writers are writing English articles to publish their blog or sell online (Contentmart is the best for article writing platform) . A good writer probably is doing well in this writing industry because they are expert in writing profession as well as they aware of how to use a sentence structure checker tool for developing skills. But if you are a new in this industry & don’t know how to write errorless articles, how would you reflect? Even if you don’t have good knowledge of English grammar as well as sentence Structure. What is your way to go ahead in front of the writer’s 1st place? One of the best answers is that you have to use proper sentence structure checker tool that solves your complete grammar errors. Although you have to minimum knowledge about English grammar and sentence structure because a sentence structure checker tool only helps you to solve common grammar mistakes which you cannot grab normally. Certainly, a grammar and sentence structure checker is a machine. So It has no ability to solve as like human. But if you use grammar checker tools with a combined process, then you would solve 80% grammar mistakes. This percentage is not a bit low if you are weak in English grammar. Okey, if you seem, you are an expert in English, then leave this post. But remember that many expert writers mistake grammar in their writing. 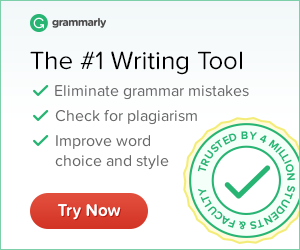 So it’s truly speaking that most of the pro writers use a paid or free online grammar checker tool like Grammarly, Ginger, etc. However, you may be an expert or inexpert in English writing. But question is that if you would like to use a free online grammar check app or tool, then how to solve all common and maximum advanced grammar mistakes in your writing? How Blogging Impacts On Your Life? How To Make Your Own Blog On BlogSpot Platform? I’m Palash Talukder, I've been blogging for a year. Here at GosView.com, I share about secret blogging tips that make bloggers journey easier. Muut Review: The Complete Discussion System For Your Site! Gos View Copyright © 2016.